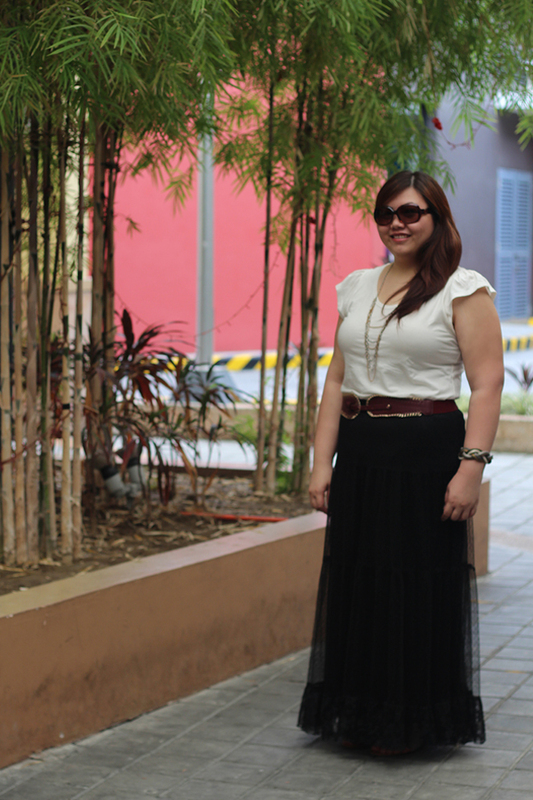 This dainty black lace maxi skirt has actually been waiting to be worn for almost a year now. I had been planning to wear it out ever since I bought it, but somehow things just got on top of it and I forgot. Does that mean I should stop shopping and then dumping clothes in the back of my closet? Probably yes not. Couldn't have gotten this far on my journey to self-love and size acceptance without your support! Seriously, I couldn't have done it without you. I think an occasional pat on the back AND a giveaway is in order. What say you? 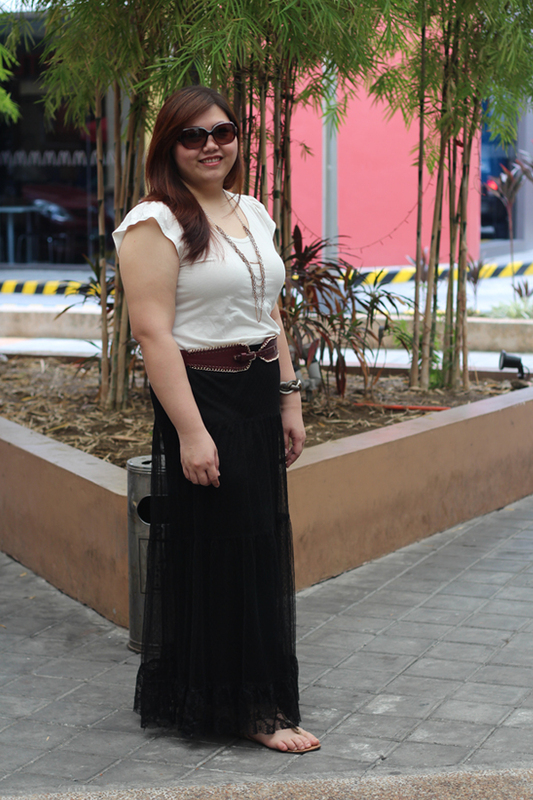 Your sheer long black skirt is so chic! I say you get two thumbs up, two toes up, five stars, a perfect score, a pat on the back... and all that good stuff for this outfit. Your top and skirt are lovely as are your sandals. You look great, Abi! Definitely an outfit worthy of double thumbs ;) You look great! Love that you are so open about accepting yourself, as I've also struggled with some of the same problems. 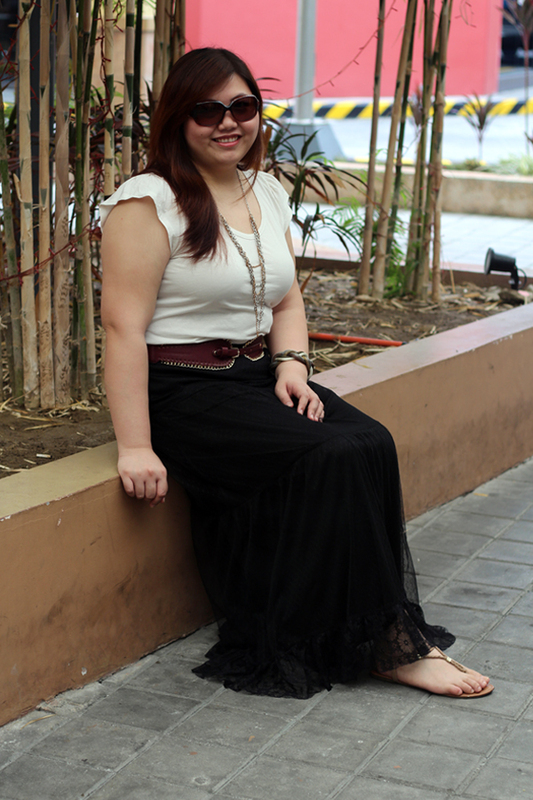 Your confidence makes you glow, and the skirt is gorgeous! That bracelet is so fab! love it!